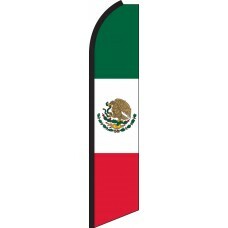 Our Spanish language Swooper flags are the perfect way for businesses to promote their products and services to Spanish speaking customers. Each design has been carefully crafted by our team of experts, and features a Spanish message, which will help attract Spanish speakers. 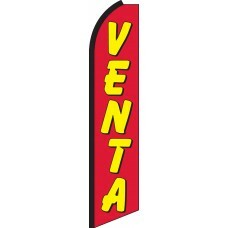 Venta translates to Sale, Bienvenidos translates to Welcome, Credito Facil translates to Easy Credit, and Se Habla Espanol translates to Spanish Speaking. 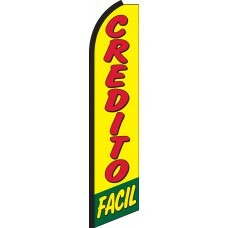 These messages are ideal to entice Spanish customers to enter your business. 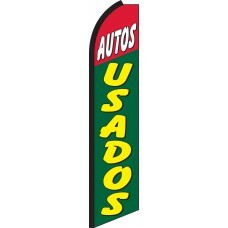 There is nothing more intimidating than approaching a business that does not speak your language. 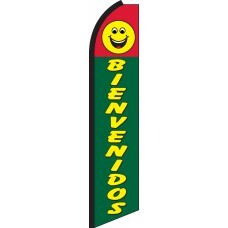 If you are in an area with a large Spanish speaking population, then you could be missing out on a huge number of prospective customers. 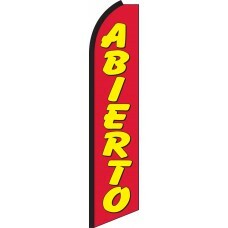 Our Spanish language flags will put these potential clients at ease, sending them the message that your business understands and welcomes them. It is something that can really set you apart and take your business to the next level. 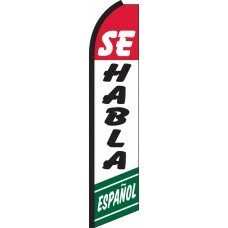 Check out our range of eye-catching Spanish speaking flags below!